This inground basketball hoop from Lifetime Products showcases a 54" acrylic backboard and a Pump Adjust™ height adjustment mechanism that changes from 7 1/2 to 10 feet heights in infinite elevation increments. 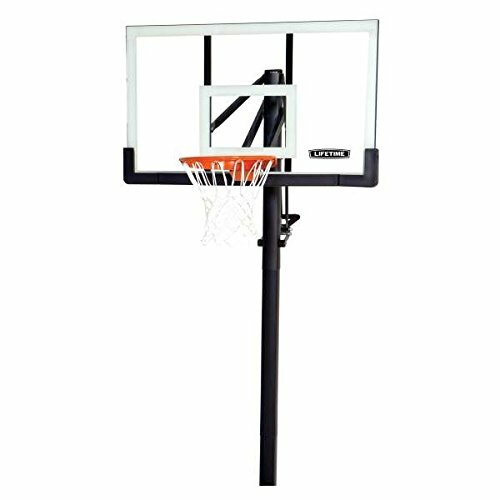 It additionally consists of a Slam-It Pro® Rim and an all-weather nylon net and a 4" square steel post. 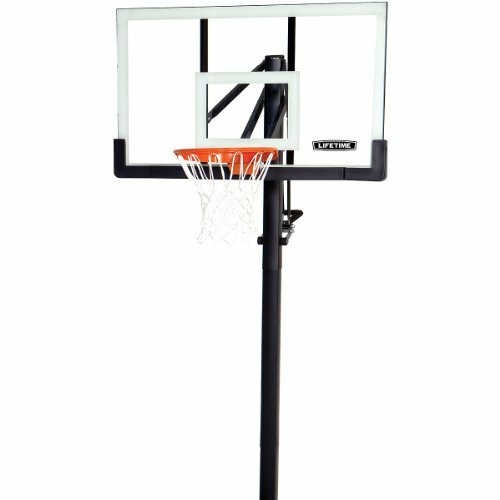 So bring the arena to your home with a domestic basketball unit from Lifetime Products. The Lifetime ® 90469 in-ground basketball system showcases a 54" acrylic backboard that provides you the view of pro-style glass! The heavy-duty Slam-It Pro ® rim is made to take the abuse of dunking; it comes with an all-weather nylon internet that won't weaken over time. The steel frame has an innovative Pump Adjust ™ mechanism that permits you to easily move the height from 7.5 to 10 feet in boundless increments.